The Axiom Business Book Awards are designed to celebrate excellence in business book writing and publishing. It recognizes the innovative, intelligent, and creative aspects of new business books that make us think, see, and work differently every day. Business people are always looking for new ideas and solutions to their problems, and award-winning business book authors and publishers fill a niche with their informative and innovative books. The medalists in this prestigious and competitive contest will serve as the premier list of new and innovative works. In Addition, Enlightened Negotiation: 8 Universal Laws to Connect, Create, and Prosper has won the 2017 Eric Hoffer First Horizon Award, was a finalist for the 2017 Eric Hoffer Montaigne Medal, and has won the 2017 Eric Hoffer Award in the category of Business! The Montaigne Medal is awarded to the most thought-provoking books. These are books that either illuminate, progress, or redirect thought. The Montaigne Medal is given in honor of the great French philosopher Michel de Montaigne, who influenced people such as William Shakespeare, René Descartes, Ralph Waldo Emerson, Friedrich Nietzsche, Jean-Jacques Rousseau, and Eric Hoffer. This is an additional distinction beneath the Eric Hoffer Award umbrella. 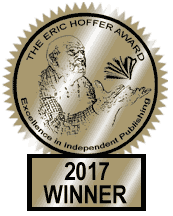 In addition to the grand prize, the Eric Hoffer Award identifies a winner, a runner-up, and honorable mentions within eighteen all-inclusive categories. Additional honors go to academic, small, micro , and self-published presses. The category finalists and the grand prize short list are further noted. Read more from Foreword Reviews.